Ideal homomorphic encryption is theoretically achievable but impractical in reality due to tremendous computing overhead. Homomorphically encrypted databases, such as CryptDB, leverage replication with partially homomorphic encryption schemes to support different SQL queries over encrypted data directly. These databases reach a balance between security and efficiency, but incur considerable storage overhead, especially when making backups. Unfortunately, general data compression techniques relying on data similarity exhibit inefficiency on encrypted data. We present CryptZip, a backup and recovery system that could highly reduce the backup storage cost of encrypted databases. The key idea is to leverage the metadata information of encryption schemes and selectively backup one or several columns among semantically redundant columns. The experimental results show that CryptZip could reduce up to 90.5% backup storage cost on TPC-C benchmark. Sa Wang received his BS degree in computer science and technology from University of Science and Technology of China, China in 2009, and PhD degree in computer science from University of Chinese Academy of Sciences, Institute of Software, Chinese Academy of Sciences (CAS), China in 2016. He is an assistant professor in Institute of Computing Technology, CAS, China. His current research interests include operating system, system performance evaluation and optimization, and distributed system. He is a member of CCF, ACM, and IEEE. Yiwen Shao received his BS degree in telecommunication engineering from Xidian University, China in 2015, and MS degree in computer science from University of Chinese Academy of Sciences, Institute of Computing Technology, Chinese Academy of Sciences (CAS), China in 2018. His current research mainly concern homomorphic encryption and databases. Yungang Bao received his BS degree in computer science and technology from Nanjing University, China in 2003 and PhD degree in computer science from Chinese Academy of Sciences (CAS), China in 2008. He is a professor in Institute of Computing Technology, CAS, China. From 2010 to 2012, he was a postdoctoral researcher in Department of Computer Science, Princeton University, USA. His current research interests include computer architecture, operating system, and system performance modeling and evaluation. He is a member of CCF, ACM, and IEEE. 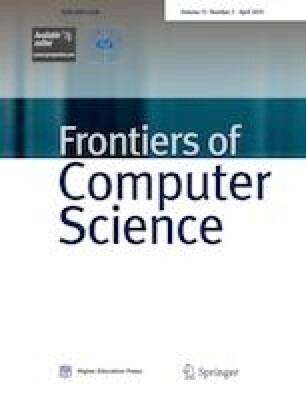 Supplementary material is available for this article at https://doi.org/10.1007/s11704-019-8394-8 and is accessible for authorized users. First and foremost, we thank Professor Kai Li and Future Forum for inspiring us such a novel idea. We would also like to thank Qun Huang, Dan Ding, Cheng Yang, Hui Liu, Xusheng Zhan, Tianni Xu and the anonymous reviewers for their insightful suggestions. This work was supported in part by National Key R&D Program of China (2016YFB1000201), and the National Natural Science Foundation of China (Grant Nos. 61420106013 and 61702480) and Youth Innovation Promotion Association of Chinese Academy of Sciences.